eSports has been growing for a while, with online streaming proving popular, and arenas selling out. People are tuning in and attending events to see professional players show off their skills to the world. With millions of people tuning into eSports it appears that the mainstream is taking notice, which means that eSports will only get bigger. 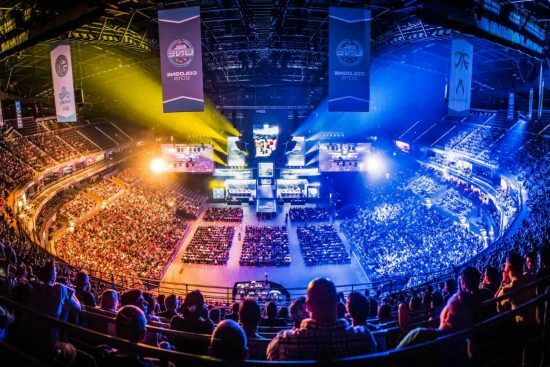 The rise of eSports has grown out of the multiplayer world of gaming. The likes of League of Legends and DOTA which are free-to-play games have been tapped into, and there is big money in winning the championships that have been set up around them. With viewership that rivals even the Super Bowl, there is a push to make eSports a recognised sport in itself, which is likely to happen. The fact that this is a worldwide phenomenon is also push it to be truly huge. It should come as no surprise that eSports is becoming huge, especially with its connection to online gaming and streaming. Many people play mobile casino and with the likes of YouTube and Twitch providing the ability to stream, gaming has tapped into this and allowed not only eSports events to be shown live online, but also any gamer to publish their gameplay. This includes people who take gaming to a professional level, and are part of eSports teams. With the excitement created in these games, it is no wonder that fans of the games take to watching the events, to see how the best-of-the-best are finding success. What has hindered the eSport growth to some extent is the fact that many events are still very focused on the male side of gaming. With over half of gamers female there is a push for this to change, and this is slowly becoming evident. A problem with this though is also the fact that online gaming has a reputation of having a somewhat “toxic” side to it, with insults being thrown at competitors, which can put many off playing the games. This of course is something that will also have to be combatted if eSports is to continue to rise and be ever more successful. The world of online gaming has to be more inclusive, not only of the different sexes, but also race, and even skill. Just because a person may not be a success should not open them to insults. While many won’t agree with the need to un-toxify gaming, there will always be plenty of people who think this isn’t needed, which may in itself be a problem. Whether the online gaming community does or does not have a “toxic” nature will always be up for debate, even if the proof is very evident online. With the growth of eSports though it is unlikely that it really does have an effect on its growth, though to fully hit mainstream success, it will have to be dealt with. Gaming has changes since the days of the arcade, with online gaming making big money. eSports is the logical evolution into bringing gaming skills into the professional era. It will be interesting to see just how much success it has in the future, especially as it moves onto mainstream television. Big things are expected, and as of right now it appears that these expectations will be met.